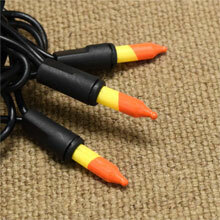 Get two of our most popular Thanksgiving string light strands in one amazing kit! 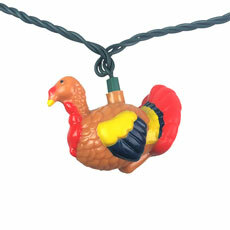 This kit includes a strand of our Kentucky Tom Thanksgiving turkey string lights and a strand of the fall leaves. Mix and match covers to create any look you desire. 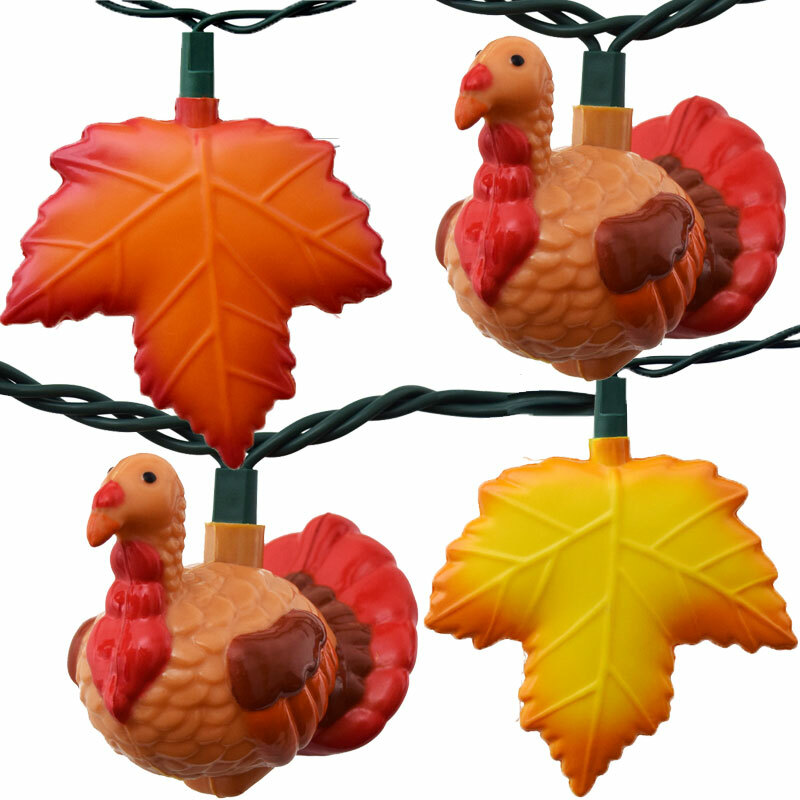 This kit comes with two 12’ light strands featuring 10 warm white lights on each, 10 Kentucky Tom turkey light covers, 5 yellow leaf light covers, and 5 orange leaf light covers. Easy Assembly - Just snap on covers and plug in! 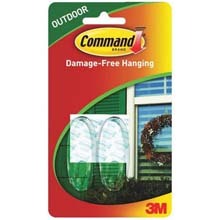 Looking forward to being able to decorate with these lights. Loved the choices. 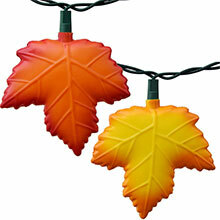 Looking for Thanksgiving turkey lights but loved that I could add Autumn leaf lights too. 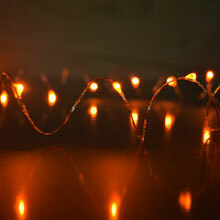 I have ordered these lights for my whole family..love them. I placed my order one day and received my lights the next day! When I had a problem with one of the light strings, OogaLights didn't hesitate to make it right. They called to follow up on my email that explained the problem I had. I'm so pleased with the wonderful service I received. 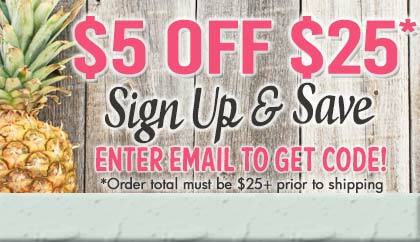 Great products too! I'll be back! Love the lights, love the overall selection, got here very quickly! 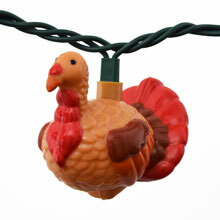 Love my Thanksgiving lights! Well packaged and received super fast! Thanks!